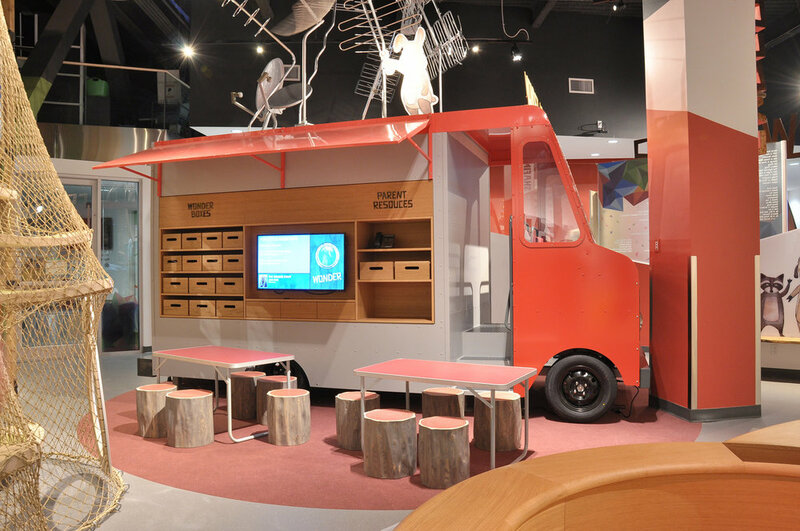 The project's intentions and safety considerations underpinned our process in realizing the beautifully interactive Wonder Gallery. To ensure safe, tactile play, we considered specifics such as corner and surface treatments, material durability and compatibility, and hygiene. Colourful inlays, solid hardwoods, and lasting non-toxic and easily repairable finishes were some strategies we implemented to make this a project with our hallmark Anthill characteristics. This complex space debuted in the Spring of 2017 to great success. Caregivers, kids, and staff alike have provided resoundingly positive feedback. We were left enthusiastic for future collaborations with the wonderfully creative Science World team.